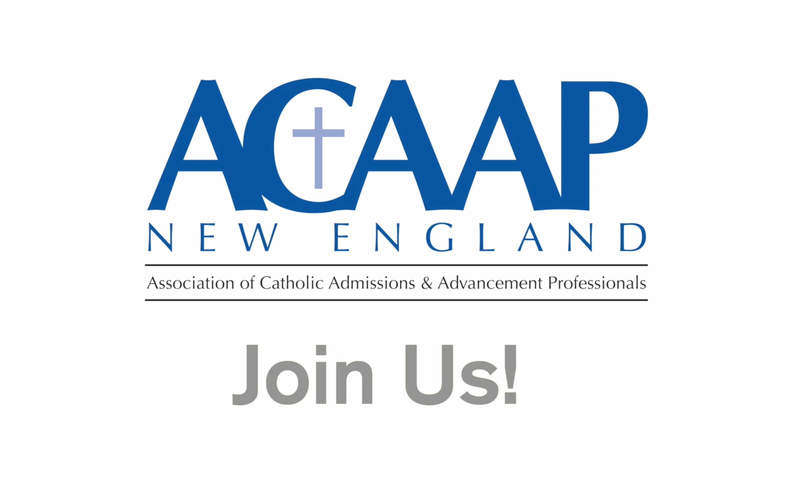 The Association of Catholic Admissions and Advancement Professionals (ACAAP) of New England is a local network of professionals and volunteers who assist the admissions and advancement programs of Catholic educational institutions in 11 dioceses in the six states of New England. Through ACAAP of New England, professionals and volunteers discuss trends, participate in continuing education, share resources, and cooperatively address ways to assist Catholic educational institutions in their efforts to sustain growth and financial stability. The ACAAP organization is dedicated to admissions, advancement, communications, and administration personnel throughout New England. We strive to bring individuals together in support of each other and our common Catholic school mission.